When you want to leave behind apartment living but don’t feel ready for a full-size home, a condominium offers the ideal middle ground. For many individuals and couples, a condo provides a sense of ownership with excess space or saved money. At Steve Anderson, you’ll find the best way to buy and sell luxury condos throughout the Las Vegas, NV area. 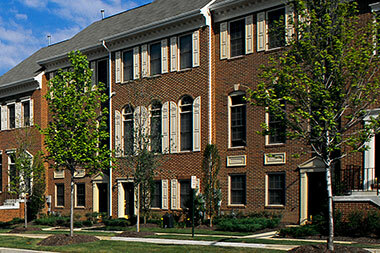 Like apartments, condominiums come in a variety of shapes and sizes. Unlike apartments, however, condominiums offer the freedom and control of property ownership. Our available condos range from units that are perfect for first-time owners or young professionals to luxury condos that rival the quality of most homes. Browse the listings below to learn more about condominiums in your price range. To learn more about a specific property, click on the image. I’ve lived and served in Las Vegas for more than two decades. I understand the needs and wants of residents in the area. I also have expertise in the broader complexities of real estate as a whole. When you choose to work with me, you work with an experienced broker who is endorsed by RE/MAX Benchmark Realty, a national company. Get in touch today to learn more about luxury condos in the Las Vegas, NV area.